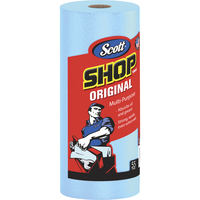 Kimberly-Clark Scott Blue Shop Towel measuring 10-2/5 in x 11 in is perfect for changing oil, refilling fluids and general automotive maintenance. It fits on a standard towel holder and works when wet easily absorbing liquids, oils and grease. 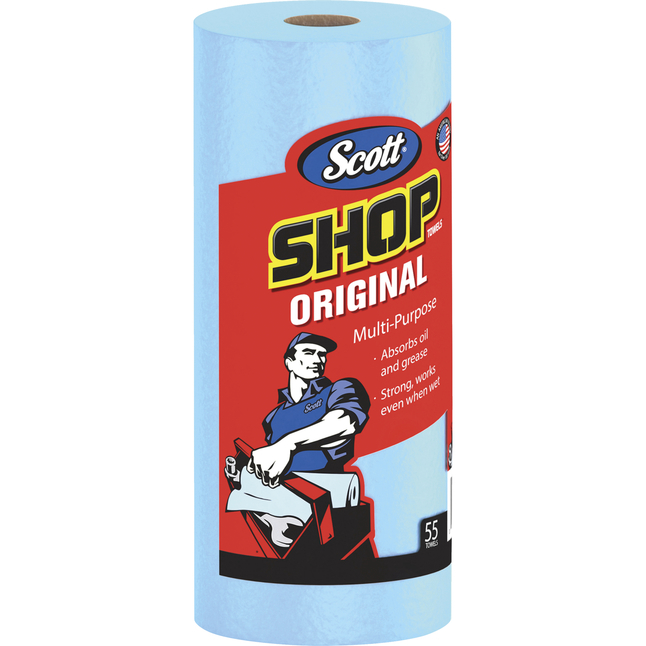 It comes in a roll that contains 55 towels.